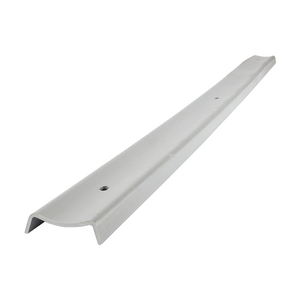 Polyethylene back plate for 3" x 10' long cable guard. Back plates are gray plastic with 3 mounting holes. 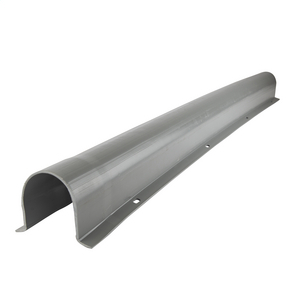 Polyethylene back plate for 4" x 5' long cable guard. Back plates are gray plastic with 3 mounting holes. 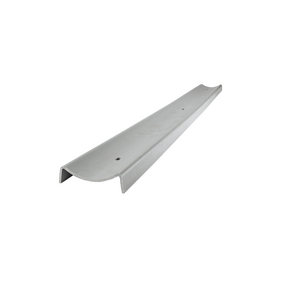 Polyethylene back plate for 4" x 10' long cable guard. Back plates are gray plastic with 3 mounting holes. 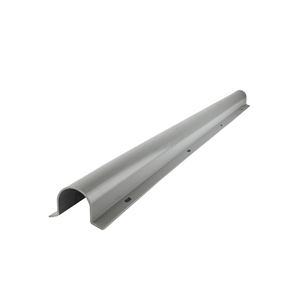 Polyethylene back plate for 5" x 5' long cable guard. Back plates are gray plastic with 3 mounting holes. 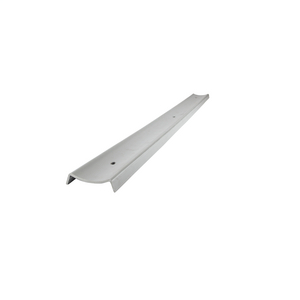 Polyethylene back plate for 5 x 10' long cable guard. Back plates are gray plastic with 3 mounting holes. Polyethylene back plate for 6" x 5' long cable guard. 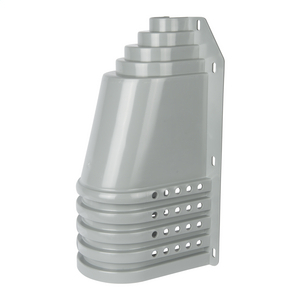 Back plates are gray plastic with 3 mounting holes. Protect telephone and powerlines where circuits lead from underground to overhead. 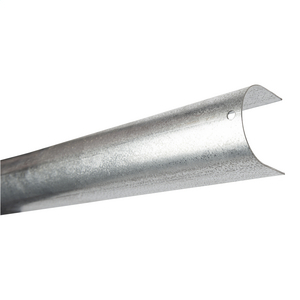 Guards are 14-gauge hot dip galvanized steel, formed into "U" shape. U-Cable Guard 3/4" inside diameter x 8' long. Protect telephone and powerlines where circuits lead from underground to overhead. 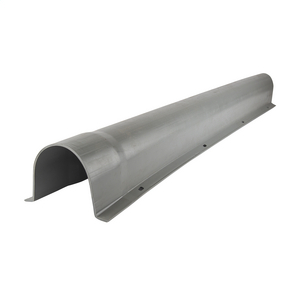 Guards are 14-gauge hot dip galvanized steel, formed into "U" shape. 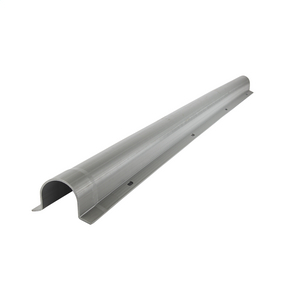 GUARD, U-CABLE, 1" X 5"
U-Cable Guard 1 1/8" inside diameter x 5' long. Protect telephone and powerlines where circuits lead from underground to overhead. U-Cable Guard 1 1/8" inside diameter x 8' long. Protect telephone and powerlines where circuits lead from underground to overhead. U-Cable Guard 2 3/16" inside diameter x 5' long. Protect telephone and powerlines where circuits lead from underground to overhead. U-Cable Guard 2 3/16" inside diameter x 8' long. Protect telephone and powerlines where circuits lead from underground to overhead. U-Cable Guard 3 3/16" inside diameter x 5' long. Protect telephone and powerlines where circuits lead from underground to overhead. Guards are 14-gauge hot dip galvanized steel, formed into "U" shape. U-Cable Guard 3 3/16" inside diameter x 8' long. Protect telephone and powerlines where circuits lead from underground to overhead. Guards are 14-gauge hot dip galvanized steel, formed into "U" shape.